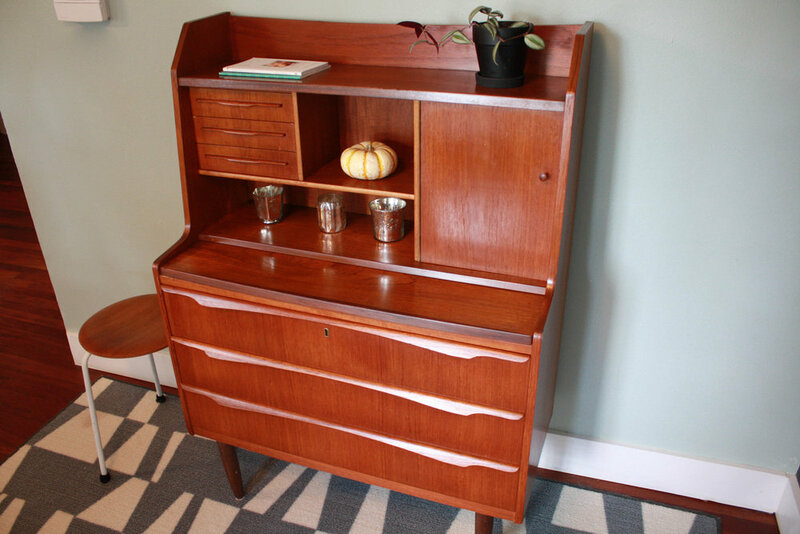 Beautiful Danish Modern teak secretary. 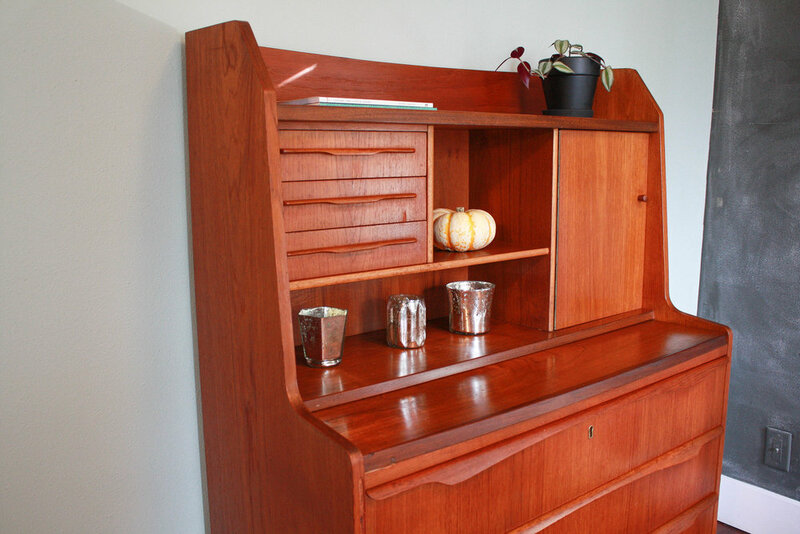 There is ample storage in this multi function piece. 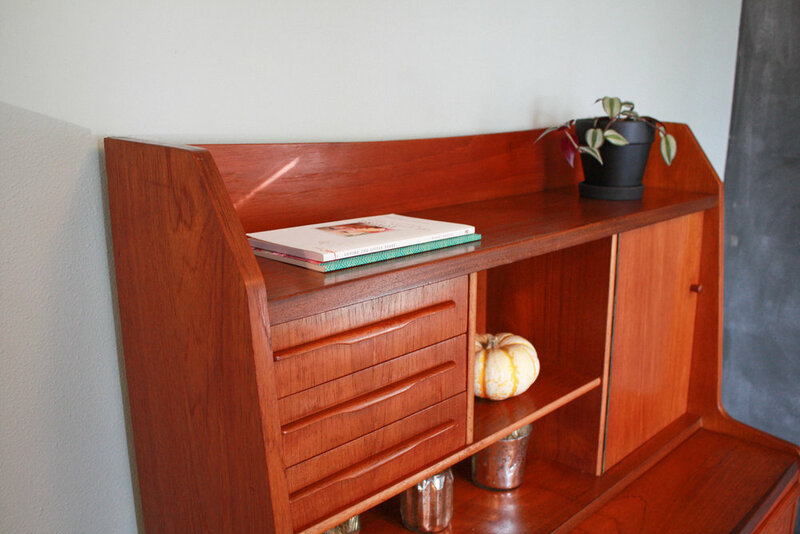 The three lower dove-tailed drawers feature sculptural pulls and plenty of space for your books and oddities. The three smaller drawers on the top left help hide your desktop clutter; pens, charging cords, earbuds, etc. 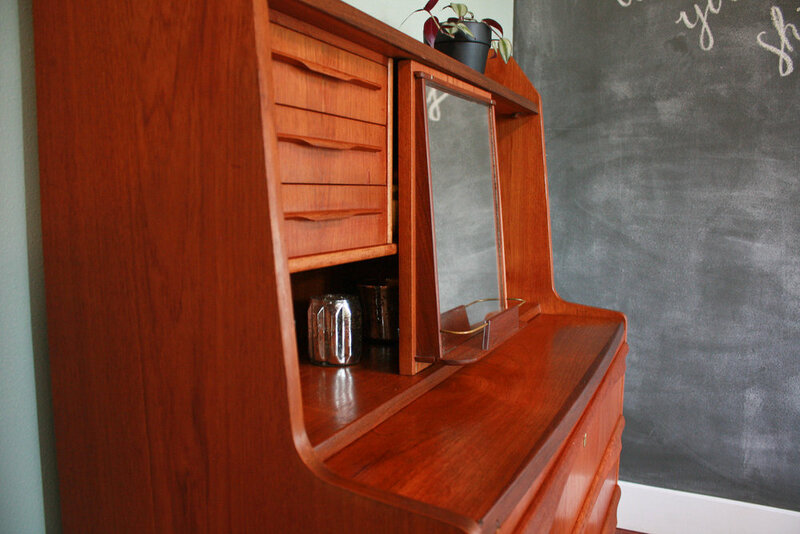 The top right cabinet door swings open to reveal a generous liquor cabinet with built in mirror and bronze rack. Put your pretty decorative pieces (books, pictures, art) in any of the open cubby spaces or on the top shelf for all to see. Lastly, the main shelf pulls out to extend your work space for filing those pesky taxes that are coming due and can easily accompany your laptop and a note pad or two. 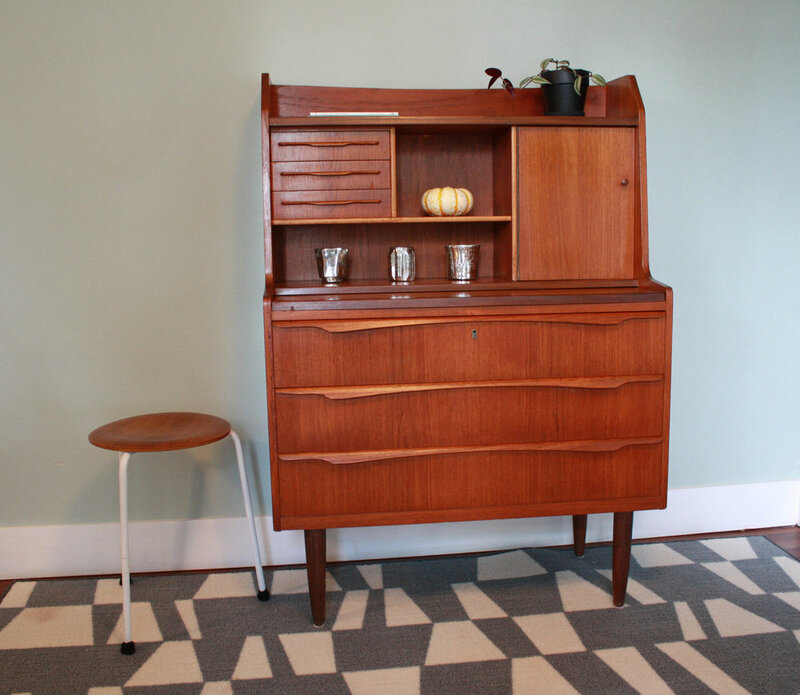 As is the case with any mid century piece, there are various blemishes and imperfections to the piece. 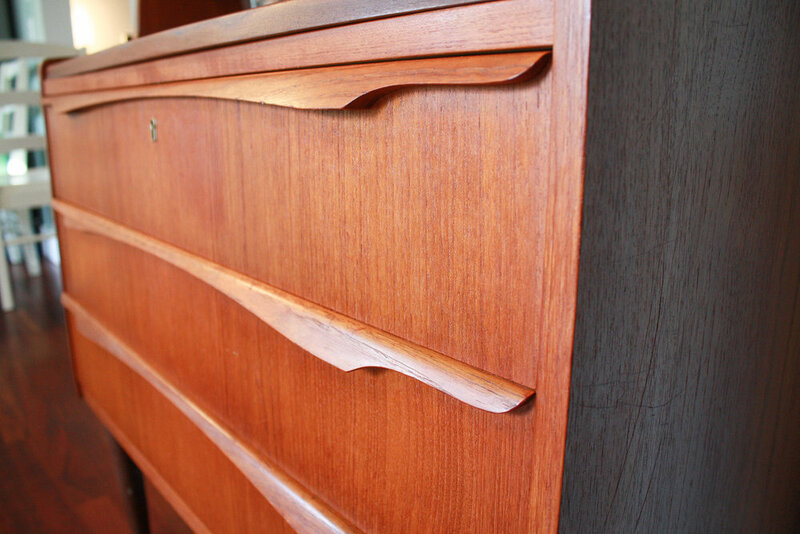 Most notably; the left front trim piece, the lower right side, and a few small spots on the drawer fronts have missing veneer. 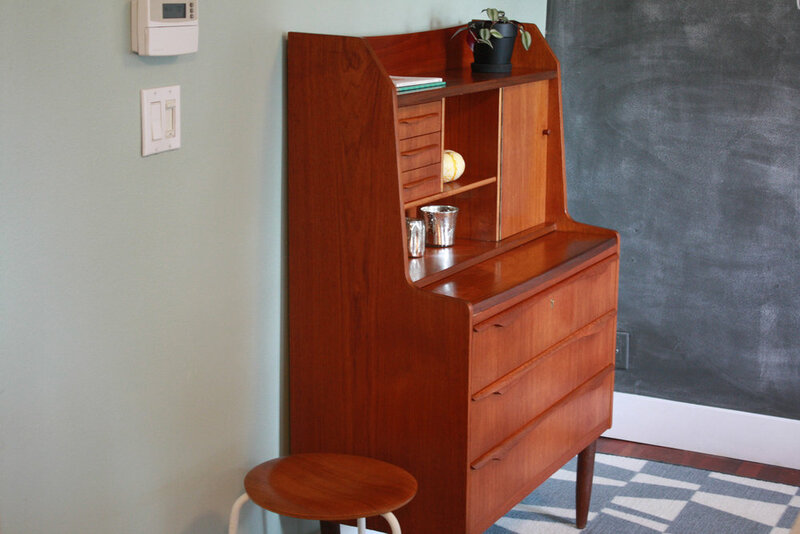 Overall the piece shows very well from a reasonable distance, but if you look closely you'll notice the patina and signs of use that come with classic furniture pieces.